Cultures around the world have their own martial arts, no? From the Chinese to the Malays, to the Indians to the Japanese, the Koreans and so on. But recently, I came across a group in Malaysia that practices Historical European Martial Arts! But what’s HEMA you ask? Well, it’s where the group studies and practices the historical techniques of knightly combat through generations after generations, reading straight off the historical accounts of those few masters or those who had connections to those masters who decided to write their teachings down, such as Sigmund Ringeck, Hans Talhoffer, Joachim Meyer, Fiore dei Liberi or even the more elusive Johannes Liechtenauer who wanted to keep the art on the down low by introducing the Zettel, which was just a list to help the student remember concepts that he himself had been taught orally, they did not “explain” the techniques in detail. Now you might be a litttleeee overwhelmed, but fear not! Let’s break it down. 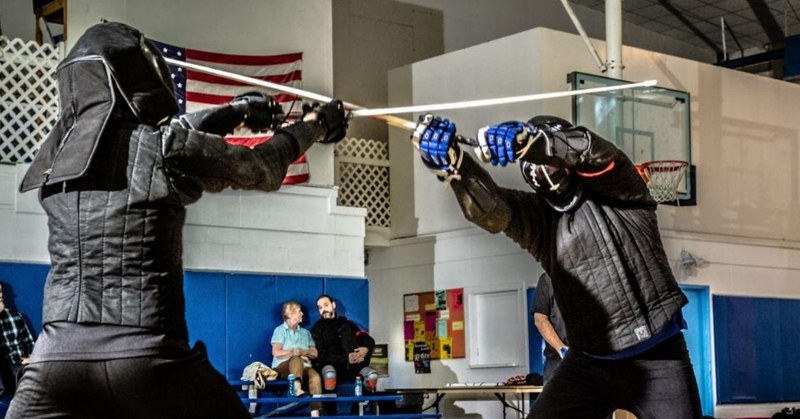 Essentially, HEMA practitioners would like to study and revive/reinvigorate both the cultural and practical importance of European martial traditions which encompass swordsmanship, unarmed combat, dueling and so on. HEMA was first brought up because of a very dedicated group of researchers in the 1980s and 1990s, coupled with the unstoppable juggernaut known as the Internet and you have this weird combination where you can learn the arts online, and we’re not talking about “techniques”, I’m talking about legitimate sources, IMAGINE A MASTER WRITING DOWN HIS TEACHINGS AND THEN IT BEING SCANNED AND UPLOADED. But there are many different types of schools with different styles of fencing, which school is the best? Well don’t let those people hear you talking about them, because to each their own. Some prefer to practice the Italian way under Fiore, some prefer the German way under Ringeck, but ask anyone of them and they’ll agree that we shouldn’t touch or even think about the British Longsword schools, although not much of their original text have been scanned. Coming back though, I’ve always been interested in Knights and swords ever since I was a wee lad and decided to look up HEMA in Malaysia and see if there was a school here, and as it turns out.. There is! Known as Zwaardkring Malaysia, they’re the one and only HEMA school here in Malaysia (trust me I googled high and low, far and wide) and I’ve personally been attending some of their classes. And now you know! From the history of HEMA to the different school and if you’re interested, you can even join a school right here in Malaysia!